This Earth Gathering has been a long held dream of Paloma’s. She has brought together a team of wonderful people who share a similar vision of community, concern for the earth and a belief in the power of women who meet with a clear intention. 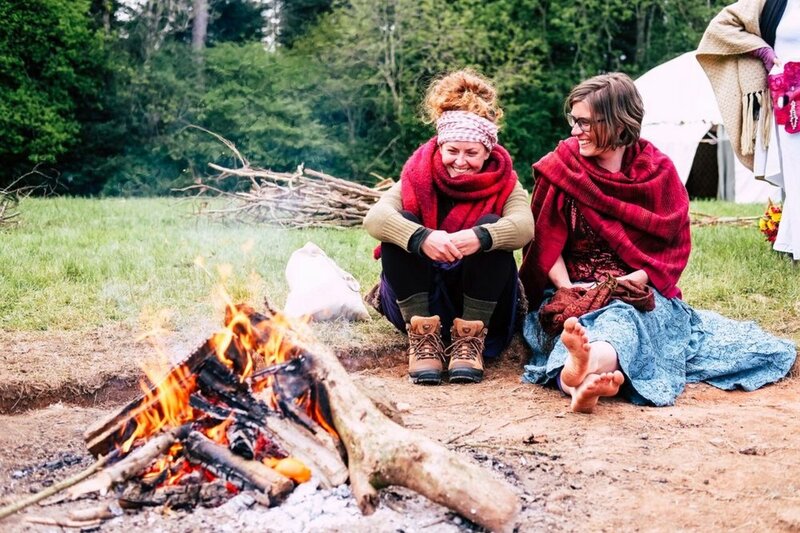 Paloma is a trustee of SWAN a charity dedicated to long term low cost counselling in Bristol, she is also the founder and facilitator of This Earth Mentoring and Erti-Suli: One Soul Camp a gathering for men and women! She regularly enjoys singing with the Bristol based Georgian choir ‘Borjghali’ and she writes – “For the last 10 years my heart has paid homage to the ancient wisdom of the people of the Caucasus, for it is through singing these songs and sacred chants, that I have found a sweet way of honouring my ancestors"
For many years I’ve dreamed of a gathering to bring women together to create a new vision for our world. Each year the gathering becomes even richer soil to plant seeds within ourselves and grow strong roots as part of the This Earth Family. Held and nurtured by Paloma’s generous guidance, crew, teachers and volunteers, teens, children and elders all have found home here. Together we evolve through the years of gathering to weave more of our individual passions into the fabric of This Earth Gathering, becoming guardians not only of the Ethos of festival but workshop leaders on our own right and standing in our own power as part of This Earth Gathering Programe. Finally, we are putting our effort and funds to create a space for women to help each other regardless of their age, ethnicity or background, with a view to improving our relationship with the planet and all beings. Click HERE to look at our 2017 VIDEO!